From Osamu Dazai to Chuuya Nakahara, here are some of the real stories behind the colorful cast of characters from Bungo Stray Dogs! The post The Real Stories Behind the Bungo Stray Dogs appeared first on Funimation – Blog!. The post 25 years of Anime Expo appeared first on Anime Expo®. The Bunker #13 The Lion of Rora In stores today: the latest intense time-travel chapter of The Bunker, issue #13, and an inspiring, true historical epic in The Lion of Rora. 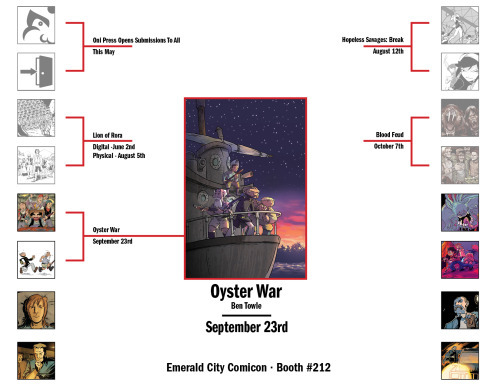 PORTLAND, OR March 23rd, 2015 – Oni Press, Portland’s premier independent comic book publisher, announced today Oyster War, a colorful, comedic historical graphic novel by three time Eisner-nominated cartoonist Ben Towle (Amelia Earhart: This Broad Ocean). 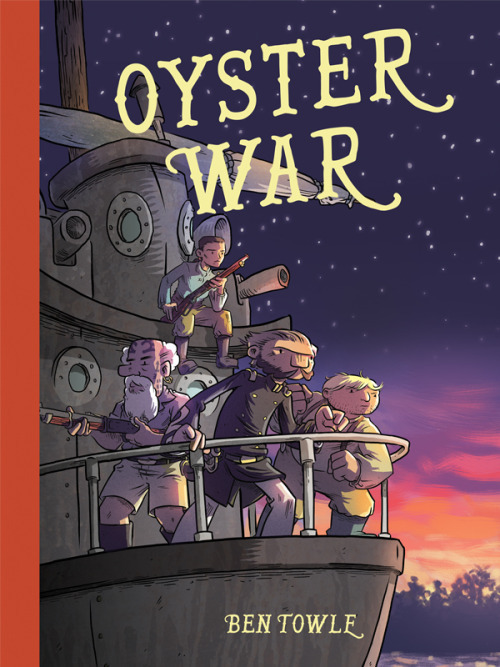 Oyster War will release on September 23rd, and will be an SPX debut. In the coastal town of Blood’s Haven, the economy runs on oysters. Oyster farming is one of the most lucrative professions, but also the most dangerous. Not just from the unforgiving ocean and its watery depths—there are also oyster pirates to worry about! Commander Davidson Bulloch and his motley crew are tasked with capturing these ne’er-do-wells—but they don’t know that Treacher Fink, the pirates’ leader, possesses a magical artifact that can call forth a legendary spirit with the power to control the sea and everything in it!